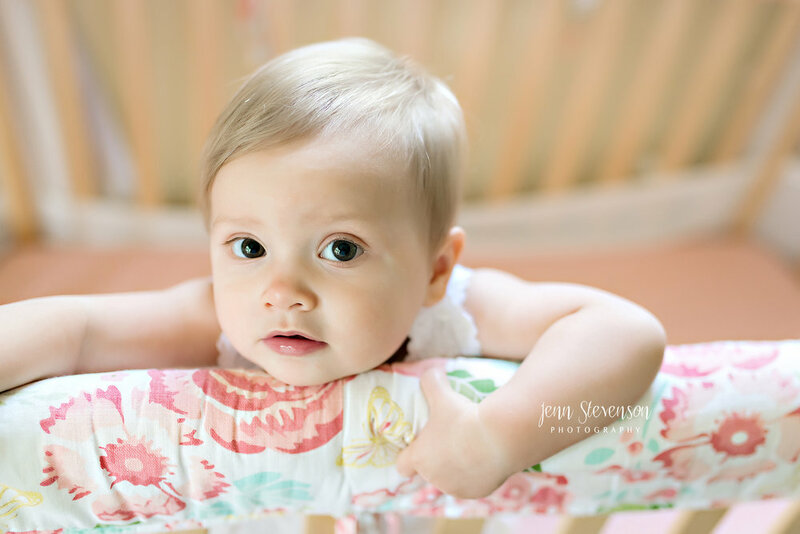 There is no secret that I love a good lifestyle session and I'm not just talking about newborns, but with sitters, crawlers and toddlers, and even older kids! There is something so amazing and so real about shooting in a home of a client. I did an entire post on lifestyle session and why I love them so much (click here to read). So when I got a call about this little doll turning ONE and her parents wanting to capture her at this age, I couldn't resist. But when I found out they didn't want your typical fashion cake smash, I fell in love with their idea and basically jumped all over this because how fun, right? It did not disappoint and we had a ball....sang a lot of songs, gave lots of kisses, took many airplane rides, calling her boyfriends (check out the phone picture), and even a little outdoor time. The bonus in this session for mom - they never had to leave their house. WIN.